You are invited to listen to a unique, two-session webinar on best practices for owners, contractors and schedulers in preparing and executing the Turnaround Project. 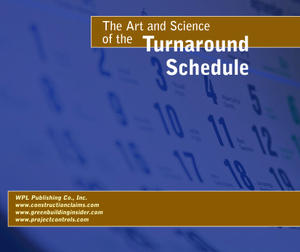 Presented by Jack Pernice and Gordon Aronson, who have 75-plus years combined experience in the construction management, scheduling and plant turnaround industry, these twin events will walk you through a soup-to-nuts coverage of what a turnaround schedule is, what needs to go into the planning process and then the actual scheduling and execution process. Jack and Gordon will use a workshop approach to provide an in-depth look at how to prepare a workable turnaround schedule that reduces risks of expensive delays and overruns. This workshop is not just for schedulers -- owners and contractors will come away with a better understanding of the process itself as well as their roles in planning and implementation.owners, contractors, subcontractors, manufacturers, suppliers and other professionals who want to gain a better understanding of contractual terms and conditions. Negotiate in your favor to minimize your liability and risk and keep you out of court! Jack J. Pernice, PMP, is a managing partner in Lightspeed Consulting, LLC. He has been involved with the construction and operations of nuclear power stations for more than 30 years. His nuclear experience includes the scheduling of construction for power plants as well as online and outage related work at operating nuclear power plants. Mr. Pernice has also worked at Department of Energy facilities. He has used many scheduling programs on nuclear power plants including but not limited to PREMIS, Artemis Project View, Primavera P3.1 and Primavera for the Enterprise (P5 and P6). Mr. Pernice has an undergraduate degree in Electrical Engineering and a Masters in Business Administration.